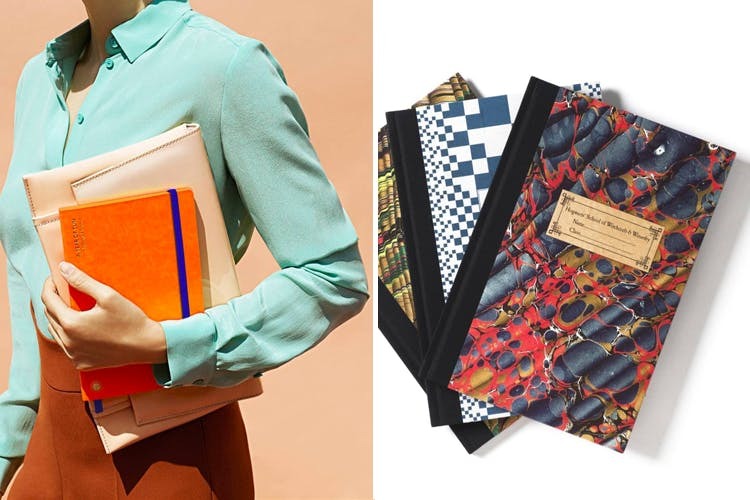 Stationery lovers, are you listening? We found a website has diaries, journals and pens that will inspire you to take up writing as a profession. Once Upon A Flutter is a website that is all about stationery and stocks stationery brands from all over the world. What do we recommend? The adorable text-heavy greeting cards by US-based designer Ash Kahn which will make you go ‘awww’. Then spot ‘You are a work of art’, the sassiest pop coloured notebooks and postcards by Ban.Do, and more. You’ll find everything from day planners that put the ‘fun’ in functional, pencils with an attitude, coloured tapes, tassles, and even oddly-shaped paper clips. Our most favorite, however, is the Harry Potter collection with Hogwarts notebooks, Ministry of Magic postcards with the educational decrees set during Umbridge’s regime, pin-up posters, greeting cards and badges stating ‘witches live among us!’ We’re completely sold on these, despite the fact that they’re expensive – INR 2,450 for a notebook and IRN 2,250 for a set of 10 postcards. Which one shall be the chosen one? Spending time on this website is enough to make anyone with an affinity for stationery to go manic with euphoria. Choose wisely, friend and choose well. They usually take about four-seven working days for delivery, depending on the item chosen, so keep that in mind while ordering your favourite wand oops...we meant diary.